Nine livestock shows at the Central States Fair will distribute over $17,000 worth of prize money to regional participants. This year's shows will include four species; goats, sheep, swine and beef. 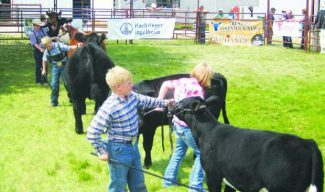 Kadee Hande, Livestock Coordinator for the Central States Fair, says, "The livestock shows play an important role in educating our urban population on the role livestock has in the state of South Dakota and the region. It's a great way for keeping our youth competitive in livestock agriculture and also in keeping in the business." 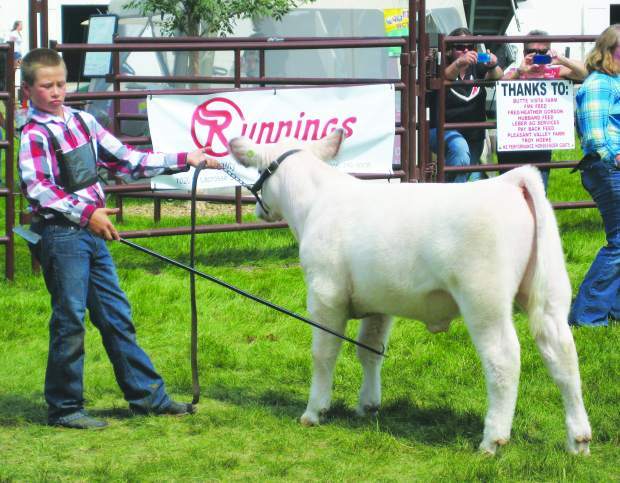 The Youth Swine, Goats and Sheep participants will compete on Sunday, Aug. 18, with the swine show starting at 11 a.m., the youth goats at 1 p.m. and the youth sheep show at 3 p.m. Monday will see future cattleman in the show ring with the youth beef and the Black Hills Gold Futurity Beef Shows. All youth ages 8-21 years of age are eligible for the show and have the opportunity to gain points in the South Dakota Junior Point Show Association. The futurity show is an opportunity for any heifer purchased at the Black Hills Stock Show to be shown at the Central States Fair for prize money sponsored by the BHSS cattle consignors. The halter cattle shows will conclude with the Open Angus and All Other Breeds (AOB) Shows on Tuesday. A total of $4,000 will be awarded to the open shows. New this year is a Angus Futurity Show sponsored by the Black Hills Angus Association. Any heifer that was purchased from a Black Hills Angus Member is eligible for a heifer futurity show. The futurity show alone will pay $2,500. Hande is excited for the youth and open livestock shows. "All our shows are designed to allow the same animal can be shown in three to four different shows in two days, it's very encouraging with the prize money available and the two days to come to the Central States Fair." Wednesday will the Boehrigner-Ingelheim Pen of Three Show. Regional commercial cattleman can bring 3 head of unwashed, unfitted, loose cattle to be evaluated on the merits of structural correctness, conformation and unity. Cattle will be broken into classes by continental and british breeds in heifer calves, steer calves, bred heifers and bull calves. A total of $2,000 will be awarded in prize money along with jackets and a belt buckle to the overall winner. Hande says, "The Pen-Of-Three show is a great chance for our cattlemen in the region to gain additional exposure to their program before they sell them in the fall." She feels that the weather will play an important role in this year's fair. "Any time you bring cattle into town it can be stressful and we have recognized this within our livestock committee." Due to the summer heat, Hande has been working on addition preparations. "We want to ensure our cattle producers and their animals that every precaution will be taken to ensure their safety and their protection from the elements, we don't want the weather to detour them from coming." All shows can be entered online at http://www.centralstatesfair.com. For addition information contact Kadee Hande at 605-355-3861.